In applying our planning efforts we have come to know the importance of starting with the officially recognized site survey information, as the City or County’s Plan Checkers during the plan review process will typically cross reference our plans with their archived information in order to insure that we are accurately depicting the existing conditions, in relationship with the proposed construction intentions. 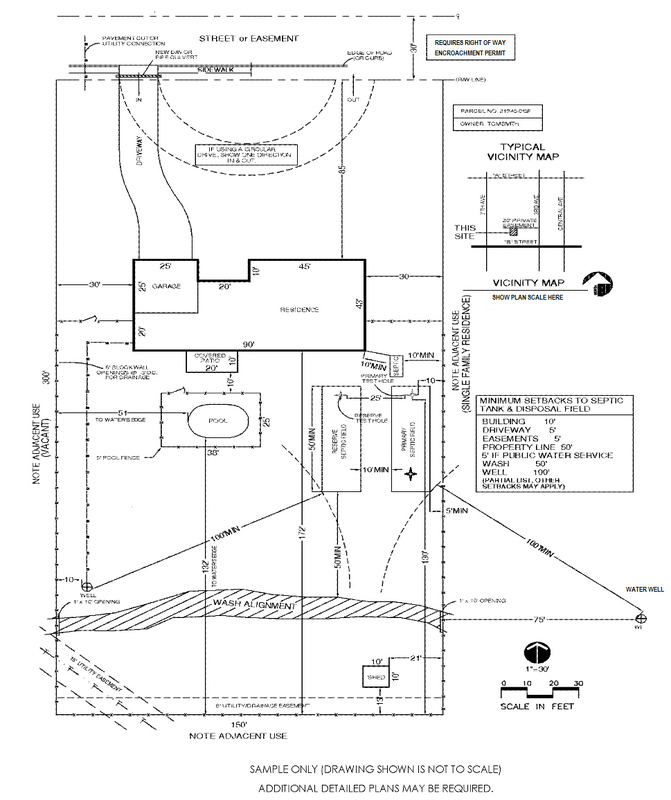 Therefore, starting with an official Plot Plan document is imperative to getting to where you want to be, which is a successful review and a building permit, as everything that gets placed on top of this officially recognized site survey would become worthless if that “BASE PLAN” information isn’t acknowledged by the County as being accurate in the first place. I’m hopeful that our thoroughness is appreciated and recognized for what it is…as failing to apply the due diligence in these preliminary preparations would lead to rejection of plans and denial for a building permit. You can use the webform below to “drag & drop” you official property Plot Plan (pdf. or jpg. files) and just click SUBMIT at the bottom of the form, thank you! If you have any questions, please don’t hesitate to contact us at; (800) 766-5259, thank you!